Romans is one of the best-known books in the Bible and likely the most famous letter in history, as it is the apostle Paul's most systematic presentation of the gospel of Christ. In this expository commentary, J. V. Fesko considers this panoramic view of the breadth, height, and depth of divine grace. Fesko helps us understand both the big picture of Paul's letters and also key passages in his writings by paying careful attention to the structure of redemptive history. Be edified as you read this survey of Romans, observing the consistent way the apostle exalted the glory of God as he called for the obedience of faith. The doctrine of imputation is the ground in which salvation is rooted. It is often seen as superfluous or splitting hairs, and yet, without it, redemption automatically becomes reliant on our own works and assurance of salvation is suddenly not so sure. 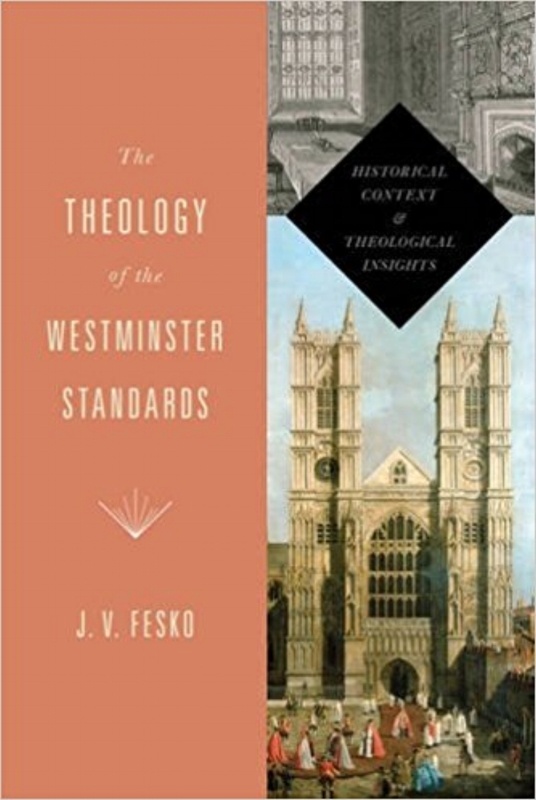 J. V. Fesko works through this doctrine looking at its long history in the church, its exegetical foundation, and its dogmatic formulation. In exploring imputed guilt from the First Adam alongside the imputed righteousness from the Second, this volume offers a helpfully well-rounded explanation of the doctrine. Who is Jesus? Is He God, as the church has claimed for nearly two thousand years? Or is He just a good man? J. V. Fesko takes a close look at Jesus's 'I am' claims in the gospel of John and guides us to a better understanding of who Jesus is. Jesus, the author says, conducted His ministry clothed in His 'coat of Old Testament colors' made, in God's providence, of the promises, prophecies, themes, and ideas that foretold of the Messiah. Jesus's claims of deity reveal that He is the great I AM, the name God revealed to Moses at the burning bush. In this book with study questions, suitable for individual or group study, Fesko views the 'I am' sayings of Jesus through the perspective of the Old Testament, and we come to see Him in His biblical glory as God in the flesh, who dwelled among men to seek and to save those who were lost. When Christians reflect on the gospel, their attention is rightly drawn to the cross and empty tomb. But is this it? Or is there much more to the story? In a ground-breaking work, J.V.Fesko reminds us that the great news of this gospel message is rooted in eternity, whereby a covenant was made between the persons of the Trinity in order to redeem sinners like you and me. J. V. Fesko, in the first of a three part series on covenant theology featuring Redemption, Grace and Works, aims to retrieve and recover classic Reformed covenant theology for the church. 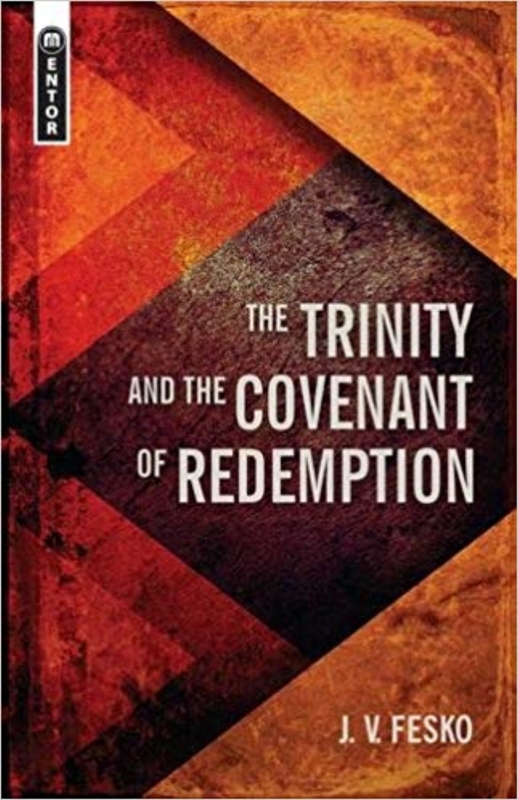 The covenant of redemption (pactum salutis), the eternal intra-trinitarian covenant, was a common staple within Early Modern Reformed theology, yet there are very few historical works that examine this doctrine. J. V. Fesko's study seeks to address this lacuna. He explores the historical origins of the doctrine and then surveys its development in the seventeenth- through nineteenth-centuries. He then examines the contemporary reception of the doctrine in the twentieth century with a survey of the doctrine's critics. Our Lord has wisely given the Psalms, the songbook of the Bible, for the benefit of the church. But for many people, the Psalms contents are mysterious because they no longer have a place of prominence in the church's worship. Author J. V. Fesko hopes to awaken the church to the majesty, beauty, and splendor of the Psalms through a devotional exploration of Psalms 1-8, a grand Christ hymn, in which David, as the suffering king, prefigures the king of kings, Jesus Christ. To encourage readers to come to a greater appreciation for the Psalms, the author includes with each chapter questions for further reflection and study and a metrical version of each psalm. He also recommends Internet resources that provide digital files of the tunes. For centuries, countless Christians have turned to the Westminster Standards for insights into the Christian faith. These renowned documents—first published in the middle of the 17th century—are widely regarded as some of the most beautifully written summaries of the Bible’s teaching ever produced. Church historian John Fesko walks readers through the background and theology of the Westminster Confession, the Larger Catechism, and the Shorter Catechism, helpfully situating them within their original context. Organized according to the major categories of systematic theology, this book utilizes quotations from other key works from the same time period to shed light on the history and significance of these influential documents. No true Christian wants to keep on sinning. Yet the battle seems unwinnable. For every slain opponent two more emerge from the shadows. And to make matters worse, an endless stream of pundits are on hand with conflicting combat tactics: 'Try harder. Do more.' 'It's a matter of mind over matter.' 'Imitate Christ. Ask, What would Jesus Do?' 'Take a break. Even if you yield to every known sin, you're still a winner because Christ has forgiven everything.' In the Bible we find a more coherent and realistic approach to growing in holiness. Victory over sin does not come to the spiritual sluggard. Effort is essential. Even so, self-transformation is not possible. 'Sanctification is by faith alone in Christ alone.' The gospel is not just for day one of the Christian life; it's for the whole journey. How do we grow in holiness? We grow through the Word of God and prayer and sacraments. This book will help us find the benefits of growing in Christ for which there is no substitute. The investigation of union with Christ and justification has been dominated by the figure of John Calvin. Calvin's influence, however, has been exaggerated in our own day. Theologians within the Early Modern Reformed tradition contributed to the development of these doctrines and did not view Calvin as the normative theologian of the tradition. John V. Fesko, therefore, goes beyond Calvin and explores union with Christ and justification in the Reformation, Early Orthodox, and High Orthodox periods of the Reformed tradition and covers lesser known but equally important figures. Far from being boring or uninteresting, the Old Testament tabernacle, and later the temple in Solomon s day, is a shadowy picture of Christ and the church. True, people are perhaps easily able to draw the connections between Jesus and the sacrificial animals, as Jesus is identified as the one and only true sacrifice who takes away our sins (e.g., Heb 8-10; 1 John 2.2). But beyond the obvious connections between Jesus and the sacrificial animals, the Old Testament tabernacle is literally an entire world of references, allusions, and foreshadows of Christ and the church. The Lectio Continua Expository Commentary on the New Testament is not meant to be an academic or highly technical series. There are many helpful exegetical commentaries written for that purpose. Rather, the aim is to provide lectio continua sermons which clearly and faithfully communicate the context, meaning, gravity and application of God's inerrant Word. Each volume of expositions aspires to be redemptive-historical, covenantal, Reformed and confessional, trinitarian, person-and-work-of-Christ-centered, and teeming with practical application. Therefore, the series will be a profound blessing to every Christian believer who longs to "grow in the grace and knowledge of our Lord and Savior Jesus Christ" (II Peter 3:18). Every Christian should desire to manifest godliness and the fruit of the Spirit. Yet too often we try to achieve it by mere good intentions and efforts to pull ourselves up by our moral bootstraps. Such attempts always fall short of spiritual reality. Godliness should be a defining characteristic of Christians, so how does one obtain it? In this fascinating work John Fesko shows us that godliness comes through the work of the Holy Spirit and manifests itself as the fruit of the Spirit. We do not produce this fruit on our own, but rather Christ through his Spirit produces it in us. The wisdom literature of the Bible is beautiful and inspiring, yet at times it can be confusing and hard to understand. 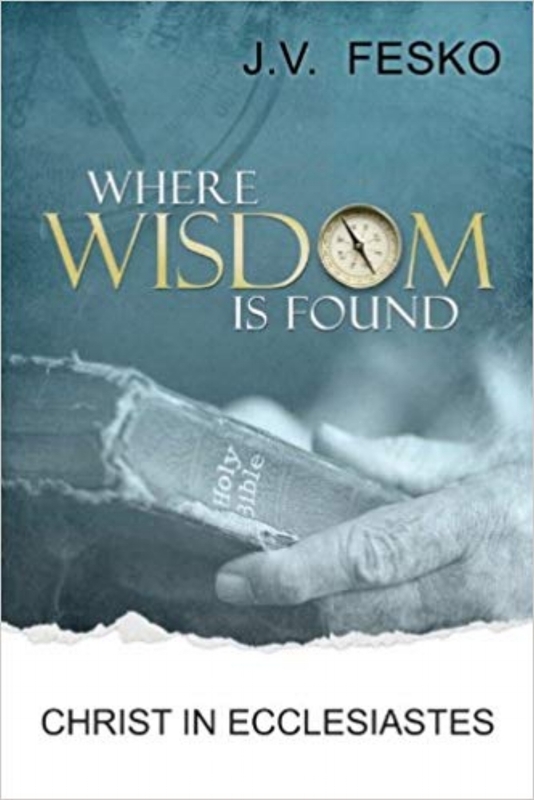 In Where Wisdom Is Found, J. V. Fesko helps us think through the book of Ecclesiastes and demonstrates how it finds its fulfillment in the crucified and resurrected Messiah. Ecclesiastes addresses many of the troubling ambiguities of life, revealing the futility of this world. But as we reflect on life under the sun, we can rejoice knowing that redemption and life in Christ bring more meaning to our existence than the vanity of things around us. An insightful assessment of Christian baptism as a sign of safe passage through troubled waters. This book addresses the doctrine of baptism from the historical, biblical theological, and systematic theological perspectives in order to present a full-orbed treatment of the doctrine from a Reformed perspective. In The Rule of Love J. V. Fesko gives an introductory exposition of the Ten Commandments. Beginning with the importance of the prologue, and then addressing each Commandment in turn, he sets forth a balanced and biblical approach that places the law in proper perspective. Throughout the book, Fesko analyzes the historical context of God's giving the law in order to help us accurately understand the moral demands God places upon humanity. Fesko also shows how Christ applies the commandments to His people by the indwelling power and presence of the Holy Spirit. This is an excellent survey of the Ten Commandments that promises to bring about a more accurate understanding of the proper uses of the law, as well as engender profound gratitude for all that God is for us in Christ. Justification is a comprehensive restatement of the classic Reformed doctrine of justification by faith alone. Fesko explains the doctrine in terms of the order of salvation and redemptive history, as well as in the light of recent challenges from the New Perspective on Paul, Roman Catholicism, and Eastern Orthodoxy. What is Justification by Faith Alone? Ever since Martin Luther, the famous sixteenth-century Reformer, nailed his ninety-five theses to the castle door of Wittenberg, the doctrine of justification by faith alone has been one of the great truths of the Reformed faith. In this concise booklet, J. V. Fesko takes a fresh look at this critical doctrine, explaining biblical teaching, examining classic Reformed statements, and answering common questions. Is the Mosaic covenant a 'republication' of the the key Reformation doctrine of the covenant of works? Inability to obey the law has implications for the doctrines of grace and justification. This book presents essays from a number of contributors on historical, exegetical, and theological topics. This books is edited by Bryan Estelle, J. V. Fesko, and David VanDrunen. 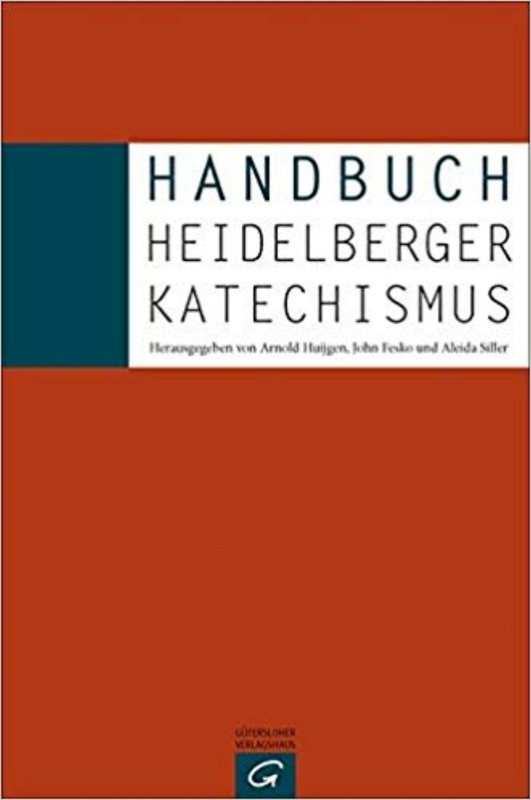 This handbook on the Heidelberg Catechism contains essays by a team of international scholars that explains the history, doctrine, and significance of this Reformation-era document. J. V. Fesko is both a contributor and co-editor and is available in both German- and Dutch-language editions.